“NBC Nightly News” had a pretty plum home Thursday night — the Copacabana Beach in Rio de Janeiro. 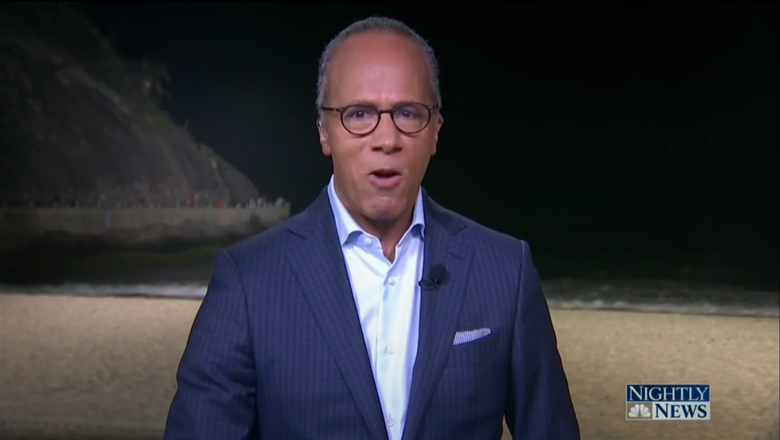 The broadcast originated from a raised platform just steps from the sand with a large rocky outcropping visible behind anchor Lester Holt, who also opted to go with the tie-less sports jacket look. At times, some nighttime swimmers showed up behind the anchor location and sightseers could also be seen lining the path surrounding the outcropping. The background was, however, rather boring and even though the rock face was lit up, it had a bit of an eerie and ghostly look to it. Holt noted at the top of the broadcast that even though Rio is only one hour off of Eastern time, because of its location in the southern hemisphere, sunset had already occurred by the time “Nightly” hit the air. 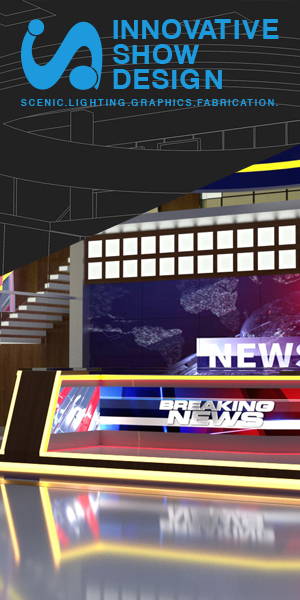 For the show’s open, NBC mostly dropped its square look that was used in both Sochi and London. For these games, NBC also colorized the local imagery to match the show’s color scheme. Instead, the broadcast went with textured curved arches and splashes on the yellow, green and blue found in the network’s Olympics logo and more vibrant local images. The very last part of the open transitioned to the normal “Nightly” look and feel of square boxes and the world map.